Science and technology fields power the economy and provide highly rewarding careers, yet most of these jobs are held by men. Attracting more women to Science, Technology, Engineering, and Math (STEM) can both foster innovation and counteract gender inequality. An enduring obstacle to girls’ and women’s participation and success in these fields is the tendency to “think science, think male.” This implicit gender bias is learned early in childhood, and shapes what boys and girls think they can do. Even among successful women in STEM, implicit gender biases can affect how women are treated by others and undermine their own ability to be effective. Despite these obstacles, social science research has revealed methods to counteract these biases. Engendering Success in STEM is a research consortium devoted to testing the long-term efficacy of interventions that harness the power of positive social interactions to mitigate subtle gender bias. Our ultimate goal is to understand and combat the various ways that cultural biases stand in the way of creating inclusive cultures for women and men in STEM. 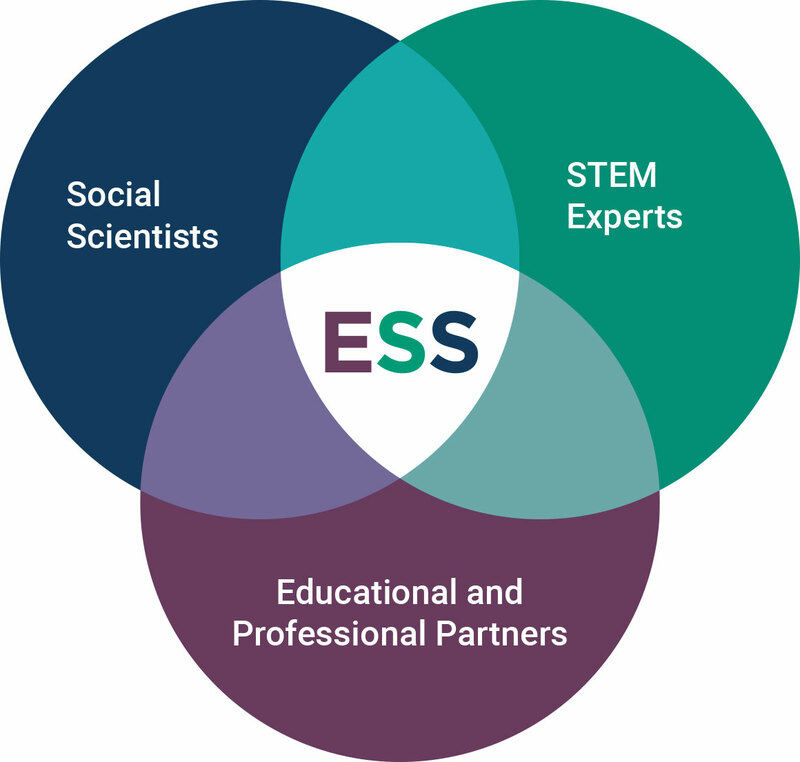 ESS is a mutually beneficial partnership among social scientists, STEM outreach experts, and partners in industry and education. Our social science research team has the knowledge and expertise to design and test interventions grounded in theory and best scientific practices. Our team of STEM experts have extensive experience implementing outreach programs among girls and women in STEM. Our educational and professional partners have a vested interest, and a stated mission, to promote the advancement of girls and women in STEM. Thus, our partnership approach combines access, expertise, and enthusiasm for efforts to boost the representation and success of women in STEM.